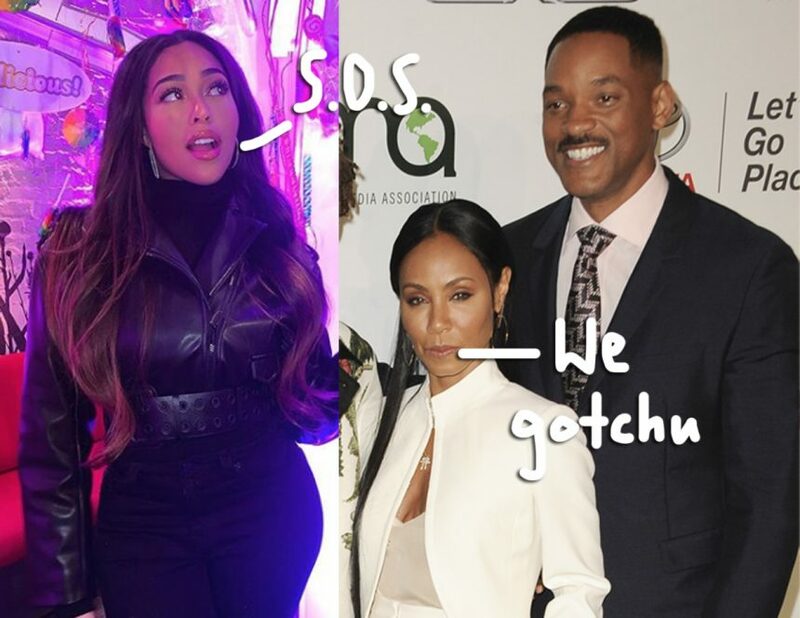 Jordyn Woods Knew The Smiths Before The Kardashians — Which Is Why She Went To Jada For Help! Home › Jordyn Woods › Jordyn Woods Knew The Smiths Before The Kardashians — Which Is Why She Went To Jada For Help! Now that Jordyn Woods has made herself Kardashian enemy number one, she’s seeking refuge in another famous family who she’s known for even longer: The Smiths! According to TMZ, Kylie Jenner’s bestie decided to appear on Jada Pinkett Smith’s Red Table Talk because she felt it was the only way she’d get a fair chance to tell her side of the alleged Tristan Thompson cheating drama. Insiders say that the 21-year-old has been “despondent” since her alleged indiscretions were first reported, and believes the KarJenners — particularly Kim Kardashian West — are now out to blacklist her in every way. Related: Jordyn Allegedly ‘Hooked Up’ With Khloe’s Ex James Harden! Since the Kardashians can ruin her life professionally, financially, and socially, Jordyn wanted to go to Jada to tell her side of the story. Not just because the Girls Trip actress is one of the most non-judgemental people she knows, but because the young starlet is apparently like family to the Smiths. Innterestingly enough, the model has known the Smith family longer than she’s known the K-Klan as it was actually Jaden Smith who brought Jordyn and Kylie together when they were all young teenagers about to start high school! Believe it or not, Jordyn and Jaden have been friends since they were toddlers. Her late father, John Woods, was a TV sound engineer who reportedly met Will Smith on the job in the 1990s. The controversial Woods was also a child model and moved with her family to Calabasas, California as a kid. Happy Bday, Jaden. 20 Years Old ~ WHOA! And Wait… I don’t know what the big deal was when you wore a White Batman Suit to Prom? You have ALWAYS worn superhero suits on your dates! Yup. They go way back! Jordyn and Jaden remained close as they grew up. Then, in the summer of 2012, the Icon rapper introduced her to someone he thought she might get along with: Miss Kylie Jenner. And the rest is history: Jordyn quickly became Kylie’s “family” and reaped the benefits of the mega-influencer’s makeup line, social media following, and reality tv show. Now, of course, things are a bit more complicated. As we reported, multiple people told Khloe Kardashian that Jordyn had been making out with her baby daddy at a party on February 17. In the following weeks, Woods felt the wrath of nearly every Kardashian. She was reportedly booted out of Kylie’s house and “cut” from Kris Jenner’s money train. Not a trace of her remains on the Instagram page for Khloe’s Good American clothing line. Feeling backed into a corner, it’s no surprise the model felt the only family she could turn to was the first famous family that took her in. We’ll find out what tea she spills to Jada when her Red Table Talk airs on Friday!